Bowling has become - dare I say it - hip, as the drab neighborhood relics of youth have been superseded by flashy, urban digs. The food landscape associated with bowling alleys has changed as well. Staples like hot dogs, fountain sodas and vending-machine candy have been displaced by creative small plates and craft brews. 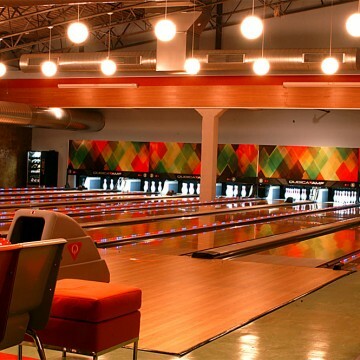 Philadelphia is no exception to this "boutique bowling" trend. Steps from City Hall in Center City is the multi-level Lucky Strike Lanes & Lounge (1336 Chestnut St., 215-545-2471), one of 18 U.S. locations. 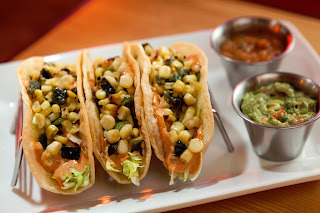 Many choices on the dinner menu are gluten free, including Grilled Jerk Skewers and Spinach & Artichoke Dip appetizers, grilled wings (with buffalo, BBQ and garlic parmesan glazes and all dipping sauces), and three kinds of tacos. A manager told me that the tortilla chips and fries are prepared in a separate gluten-free fryer; I recommend confirming upon your visit. Opened in July 2006, North Bowl in Northern Liberties (909 N. 2nd St., 215-238-BOWL) is situated at a former mechanics' garage that was transformed into a 21,000-square-foot nightlife spot. The bi-level structure includes a cafe, bar and lanes downstairs. Upstairs offers four additional lanes, a second bar, pool table, arcade games and lounge. The menu features three varieties of gluten-free mac-and-cheese dishes and Spanish import Estrella Damm Daura in bottles. The Northeast Philadelphia outpost of entertainment center chain Dave and Buster's (1995 Franklin Mills Circle, 215-632-0333) has an 18-lane bowling alley. D&B's gluten-free menu includes two under-600 calorie options (Mango Citrus Shrimp Skewers and Cajun Sirloin) along with Black Jack BBQ Chicken, Fire Grilled Salmon and the unusually named Lawnmower Salad. D&B's other locations in South Philadelphia (325 N. Columbus Blvd, 215-413-1951) and Plymouth Meeting (500 W. Germantown Pike, 610-832-9200) don't offer bowling, but do have billiard tables and plenty of arcade games.